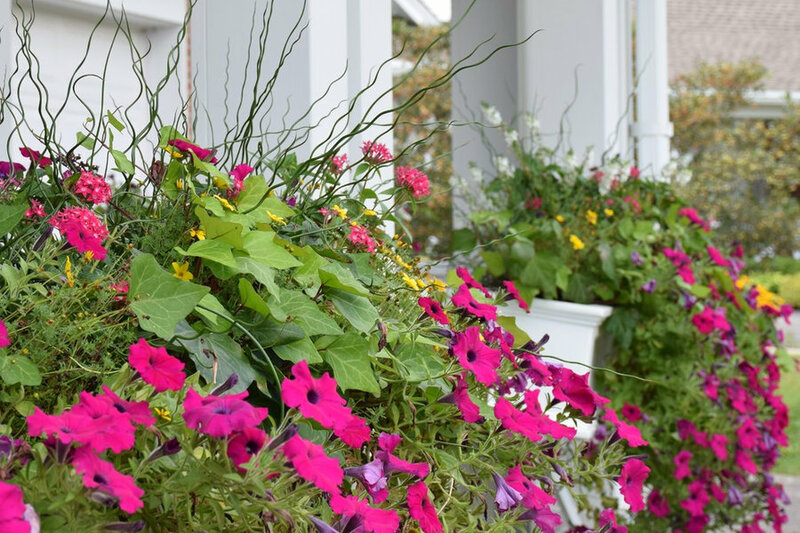 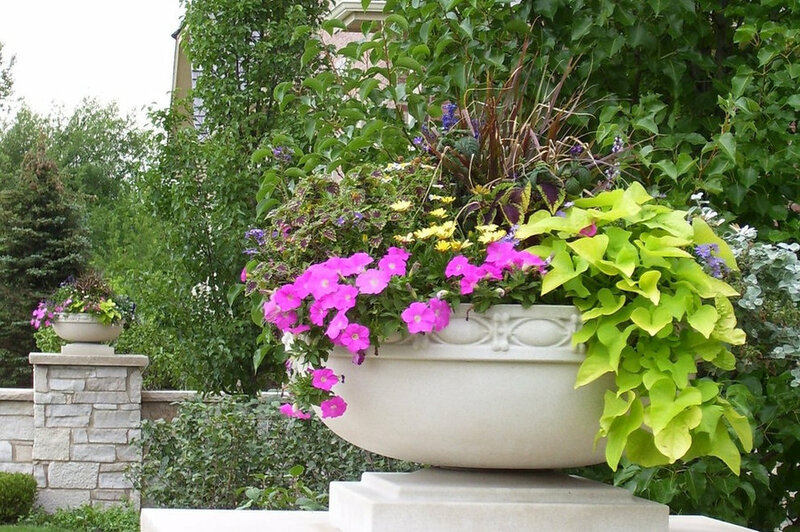 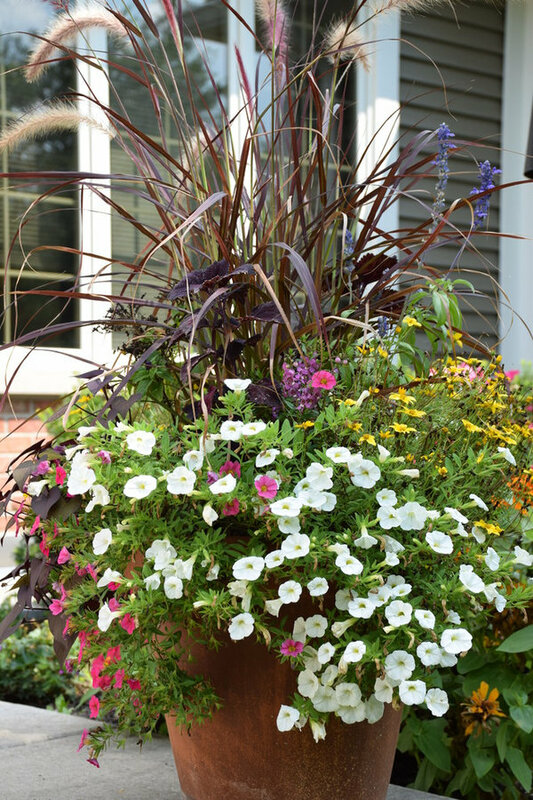 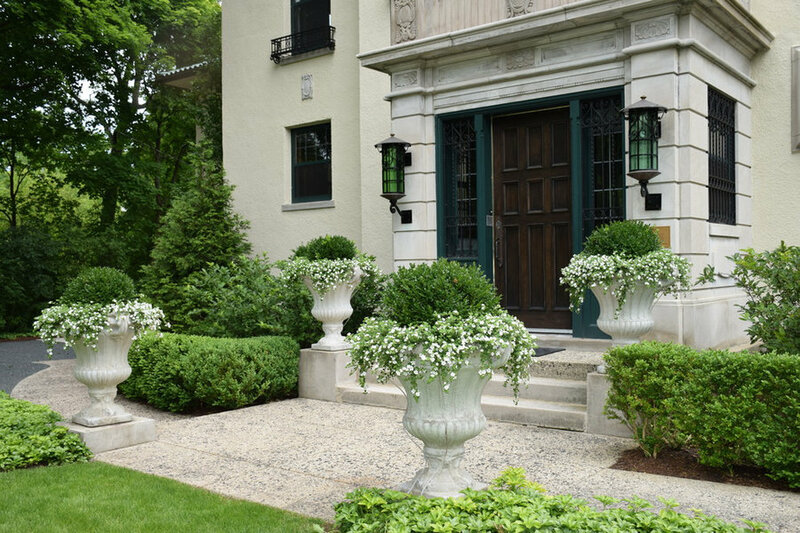 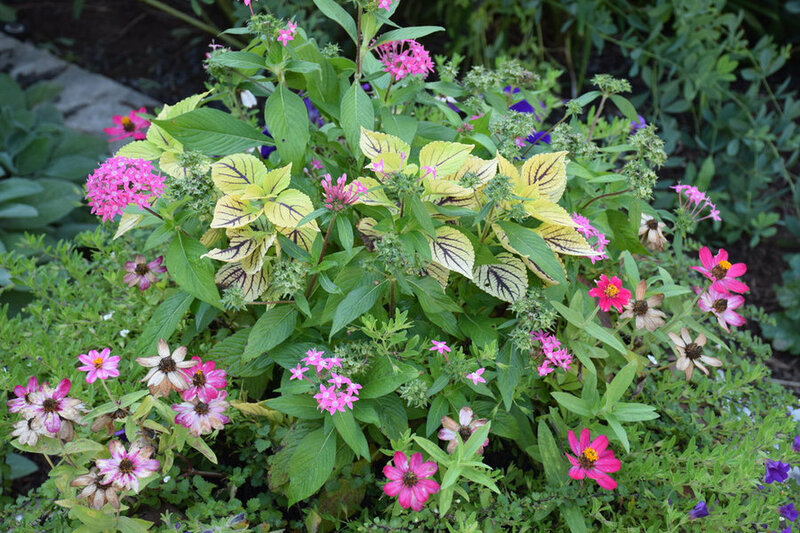 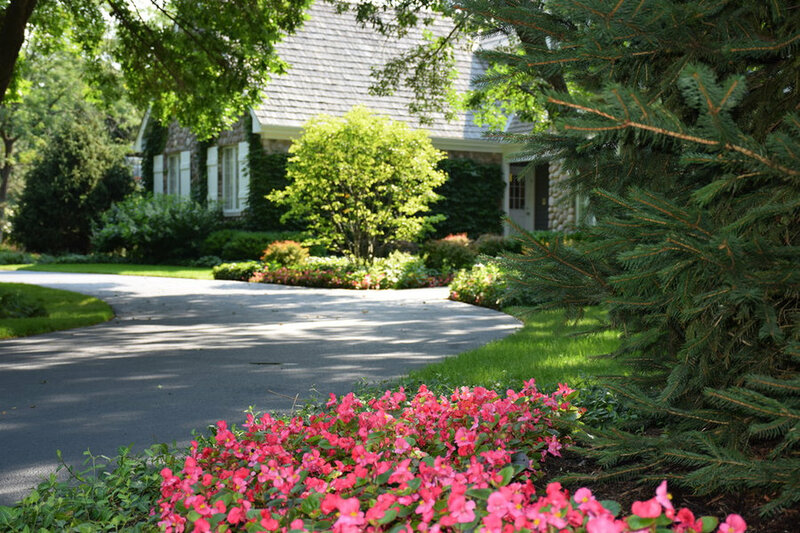 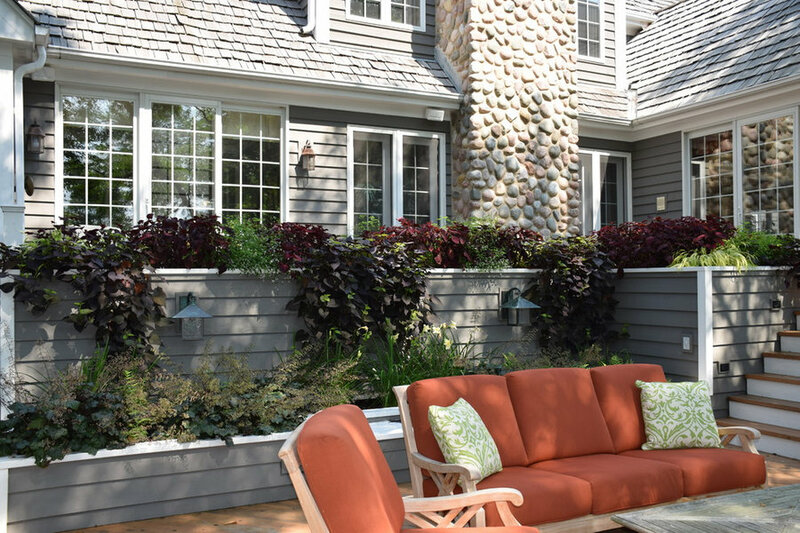 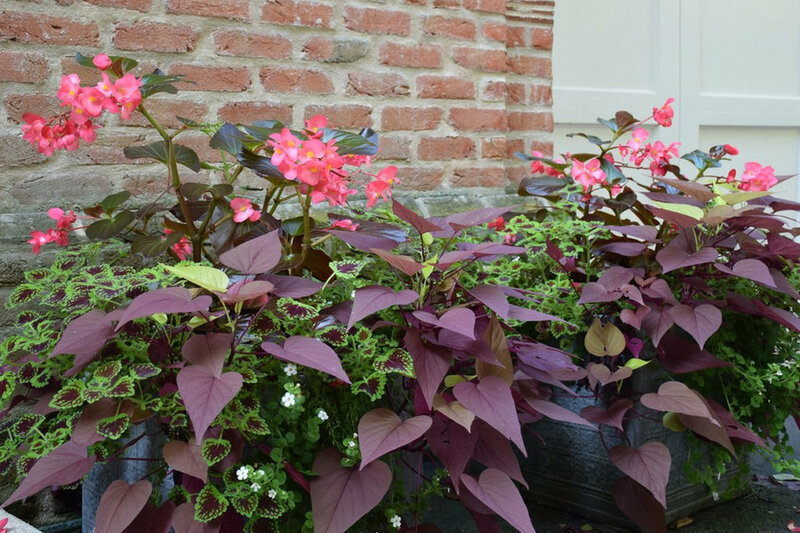 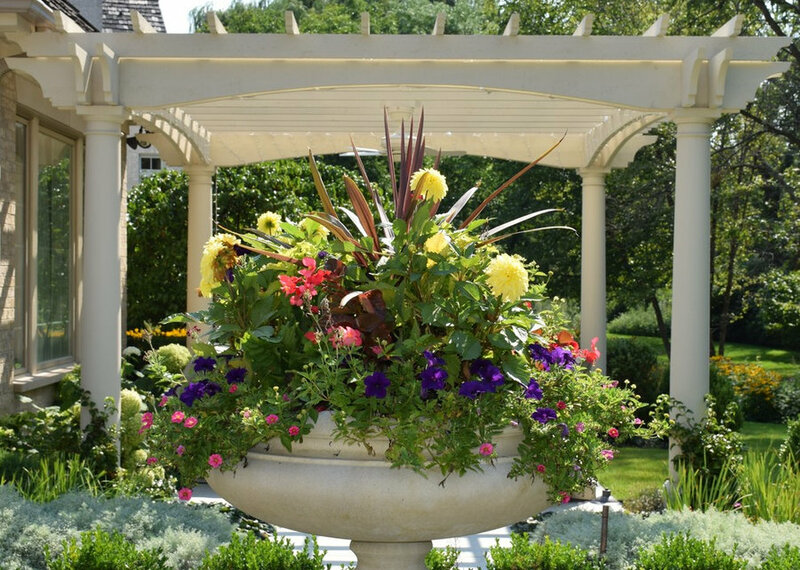 Summer annuals are very long lasting and we enjoy experimenting with new plant varieties, textures, and color schemes. 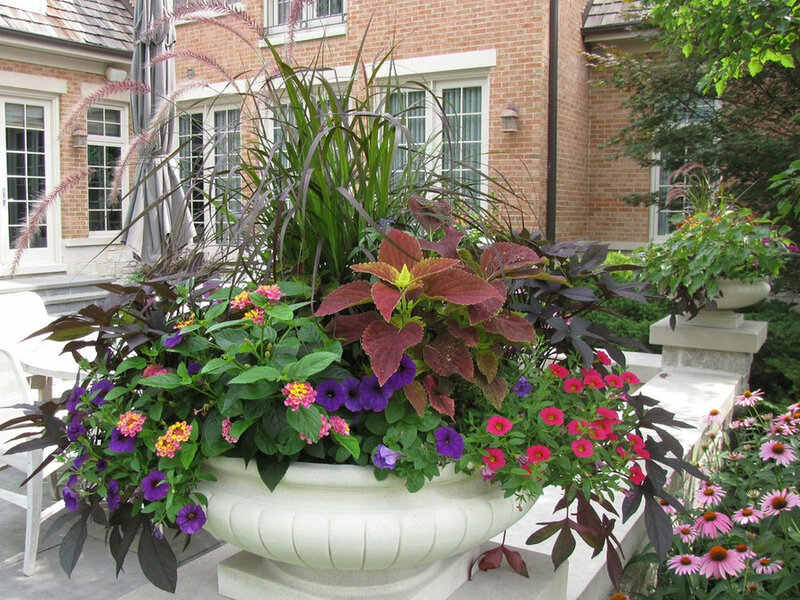 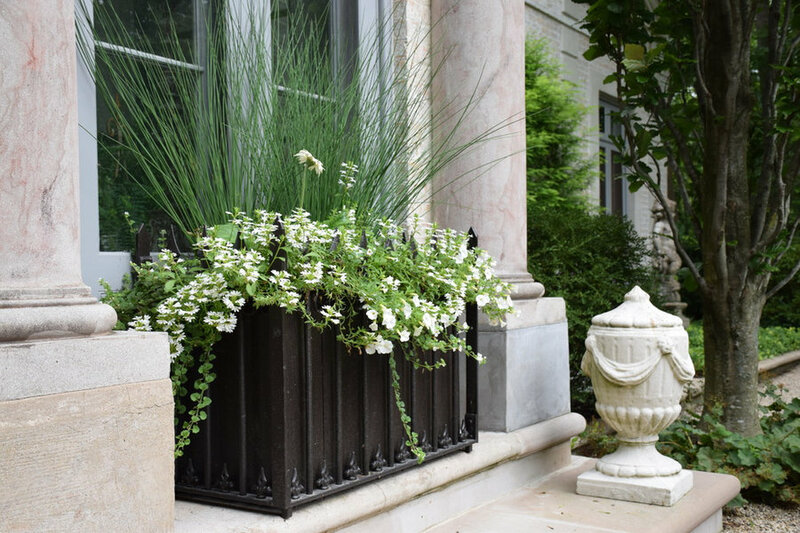 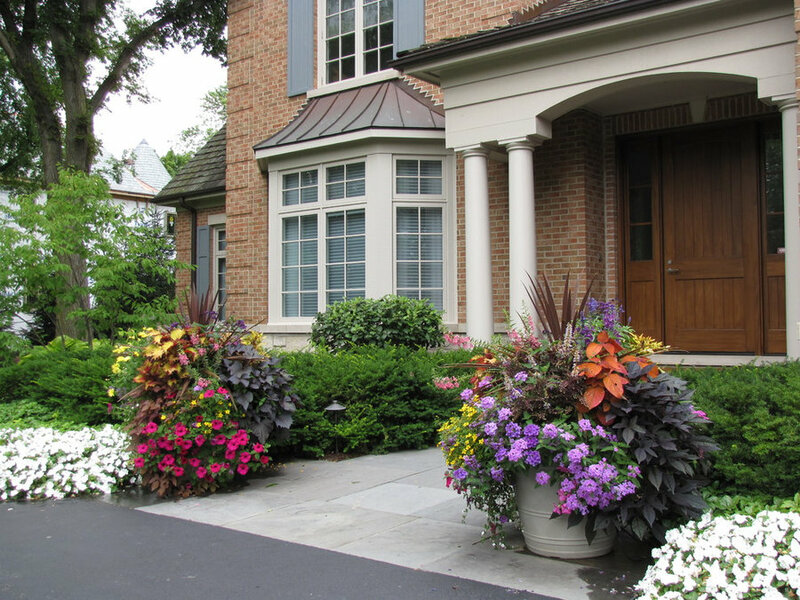 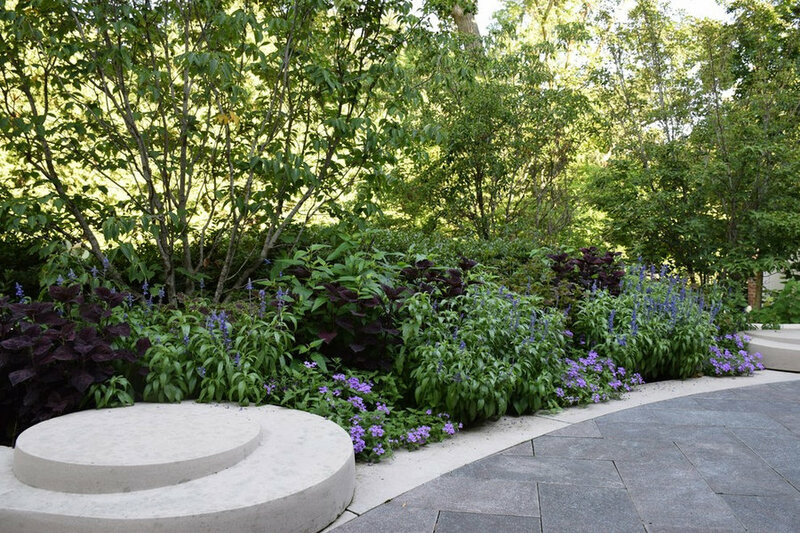 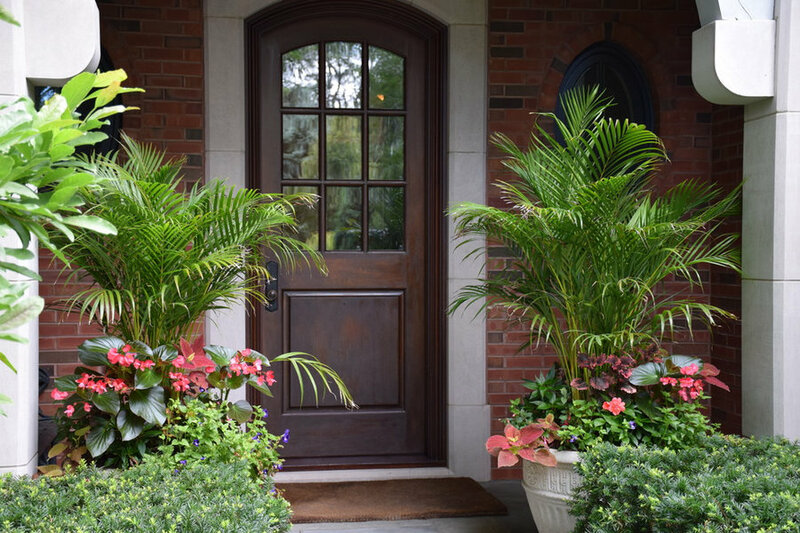 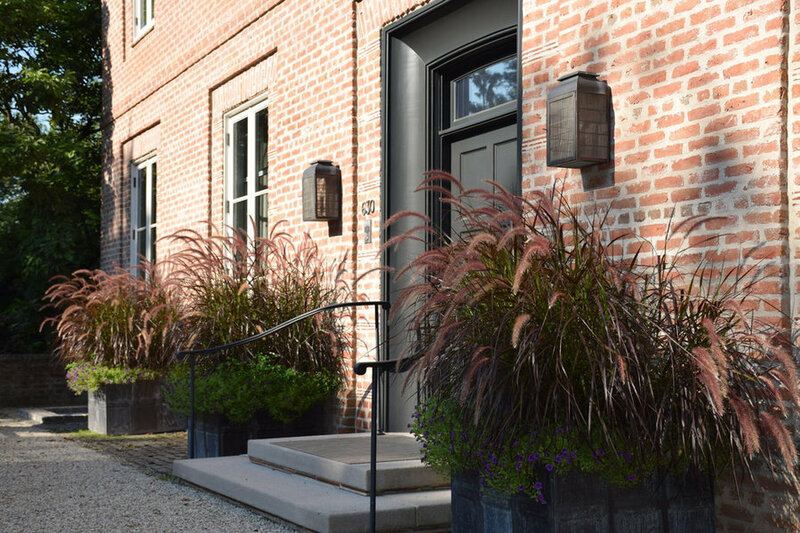 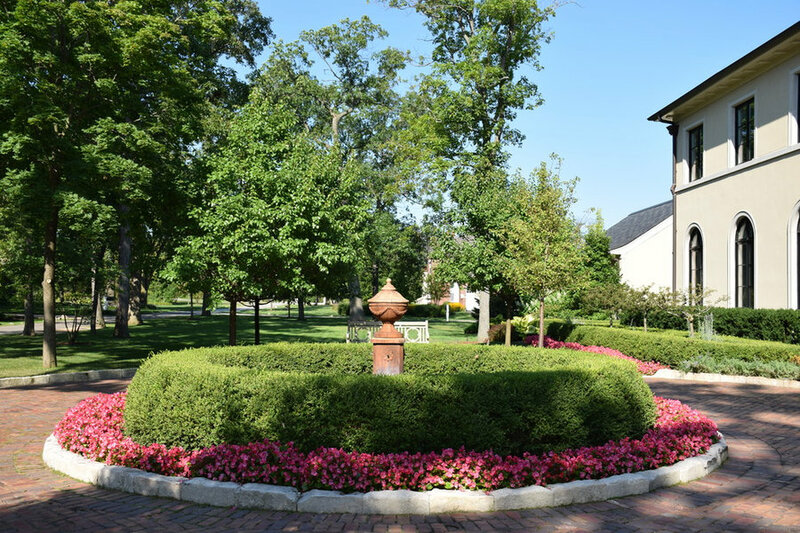 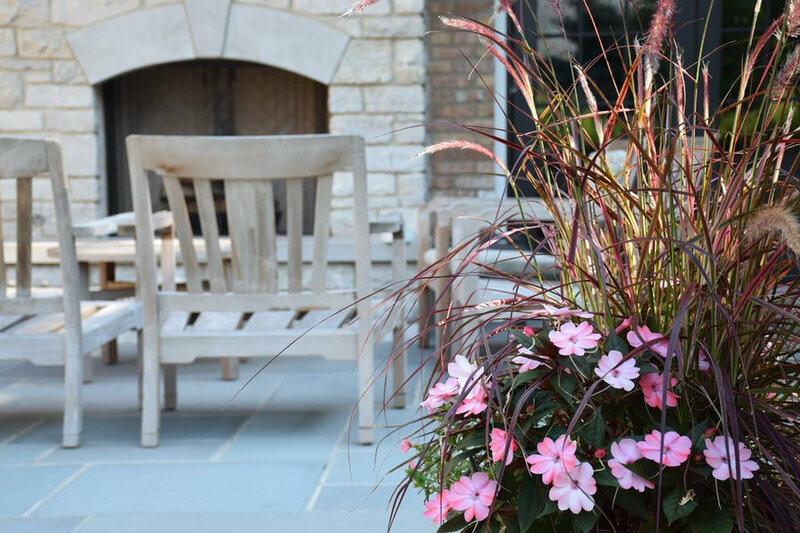 Summer display of purple fountain grass, blue salvia, coleus, osteospermum, sweet potato vine, and petunias in Longshadow limestone planters. 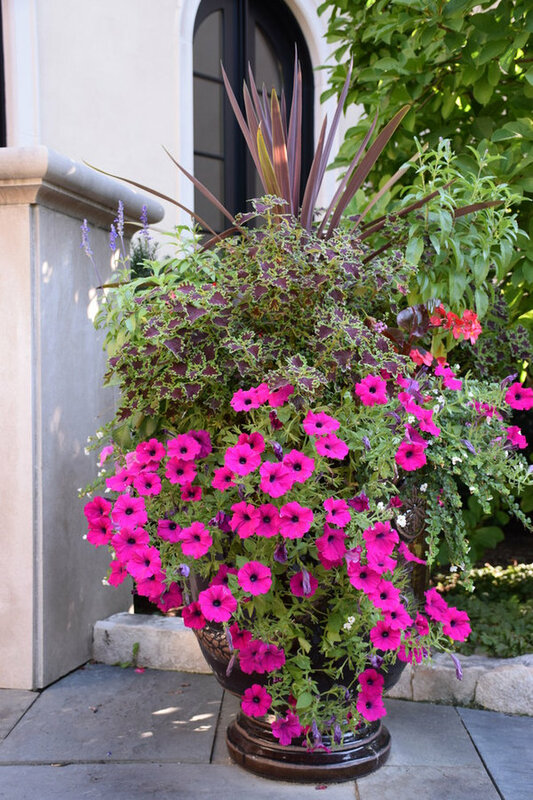 Summer arrangements of cordyline, angelonia, coleus, petunias, lantana, and purple sweet potato vine. 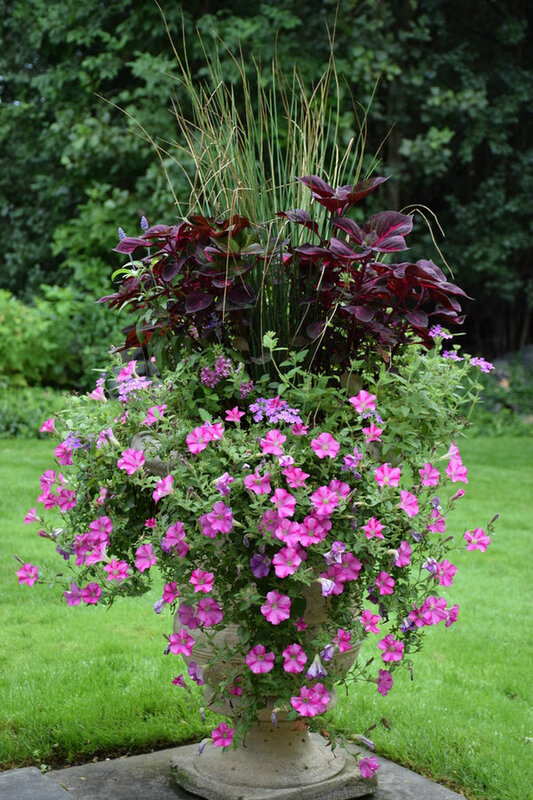 Summer arrangement of purple fountain grass, coleus, lantana, petunia, and purple sweet potato vine.